I've always understood motherhood to be challenging. Or at least I thought I did. It wasn't until I became a mother myself that I really began to understand the depths of it. And no, I'm not just talking about the holy f-caboose that attaches itself to baby train such as dodging debris and diaper explosions, inability to function due to lack of sleep, and trying to get your life back where you left it in a world that seems to be falling into shambles. I'm talking much deeper. No one really talks about the redefining moment that happens after you become a mother. For me, it was self-discovery in its rarest, rawest form. And part of that self-discovery included seeing mothers in a different light. I've learned the depth and poignancy of a mothers love. I've learned that motherhood takes strength, courage, sacrifice and absolute selflessness. And while I just started figuring this out, mothers around me--past and present, young and old--had been doing it all along. This mothers day, I am extra grateful. I am extra grateful for all of us moms. And to pay tribute, I decided to photograph portraits of mothers with their children that capture the essence of motherhood. My goal was to stop time in a series of portraits and to show how this experience connects us all. Stephanie is a part-time hygienist at Calleros Dental and mama to two beautiful and I mean BEAUTIFUL kids, Nylah and Elijah. Carissa is a wedding + lifestyle photographer and owner of Carissa Woo Photography. She's also an inspirational educator. 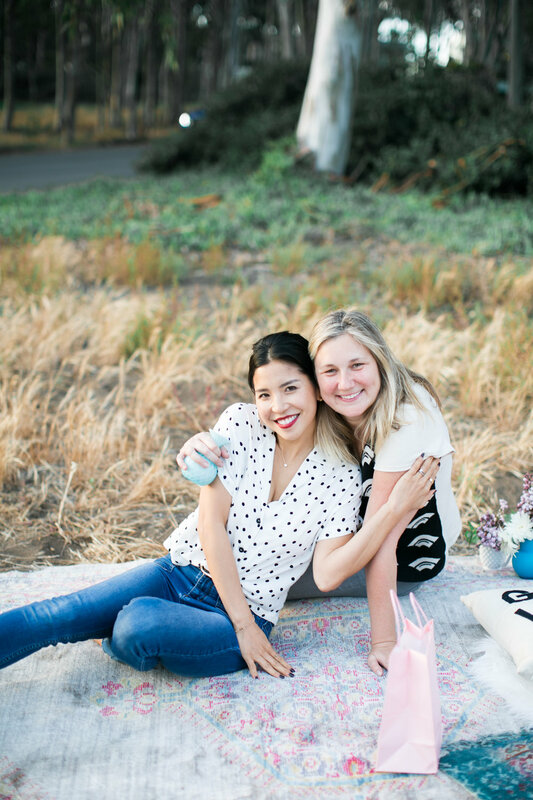 While she is killing it as a #momtrepreneur, she's also raising a beautiful baby girl, Piper. Jessica works remotely as a computer programmer and is able to provide baby William with cuddles all day every day. 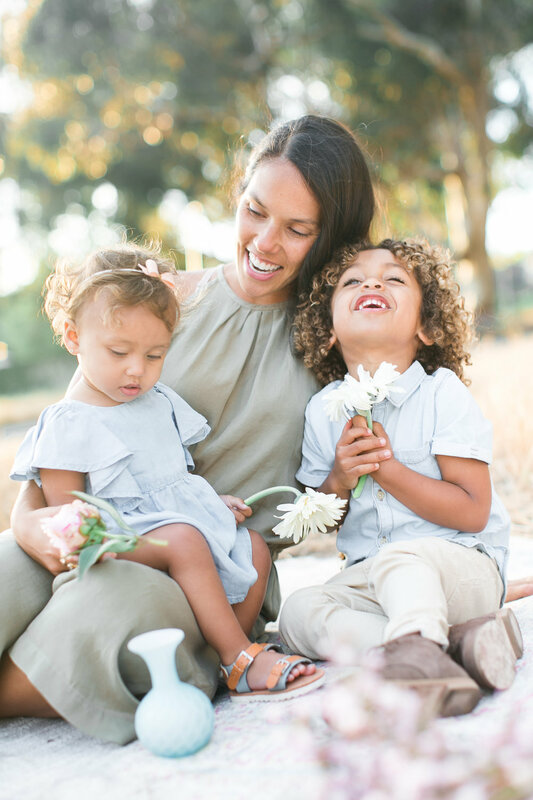 Zantia is a lot of things: She is wife to an air force officer, proud supporter of our military members, and mama of three beautiful children--Dylan, Tillman, and Charlotte. Yaya is a fitness instructor and co-owner of Shine Studio in Redondo Beach. She's a #girlboss but she's also mama to little Hero. Nichanh is a wedding + portrait photographer and the owner behind Nichanh Nicole Photography. She is mama to three sweet children can you believe it? She's also a lover of fashion and blogs about it here. I'm pretty sure she just wakes up looking like this. 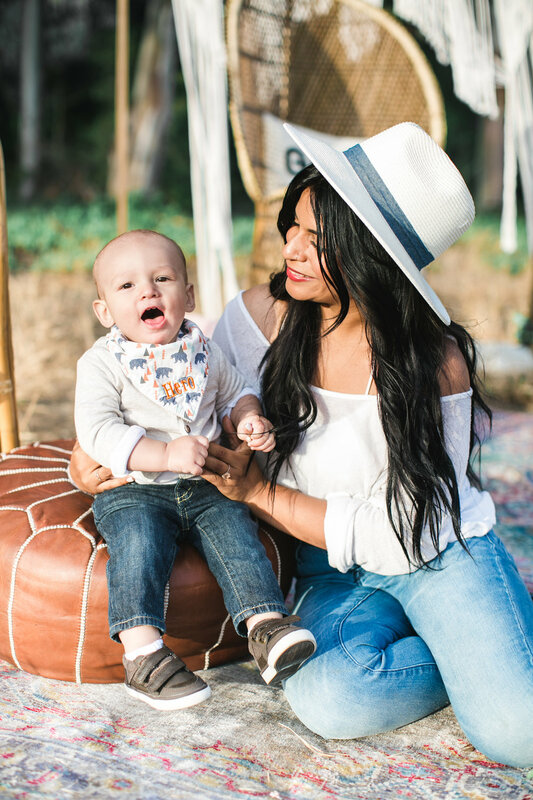 Jacquelin is a full-time mama to baby Meadow but finds the time for graphic design and provides Mediumship + Intuitive Healing readings for clients. Stephanie is a business strategist and mompreneur coach living in Redondo Beach. She slays, she slays, she slays. And when she isn't slaying she's hanging out with her darling baby boy, Chase. She's also expecting a baby girl in July. Lois works part-time as an Associate Marriage and Family Therapist and is mama to adorable baby Elijah. I'd love to give a special shout out to Anna from Provenance Rentals who not only supplied us with her gorgeous bohemian and chic furniture but for passing on a full and kind heart to her two beautiful boys. For more portraits and behind-the-scene photos click through the slide show below.